Standard occupancy for each landing room is two adults. As with all Aerie's rentals, we do not accept pets and smoking is prohibited. These five landing rooms are located above the registration office downtown Grafton. 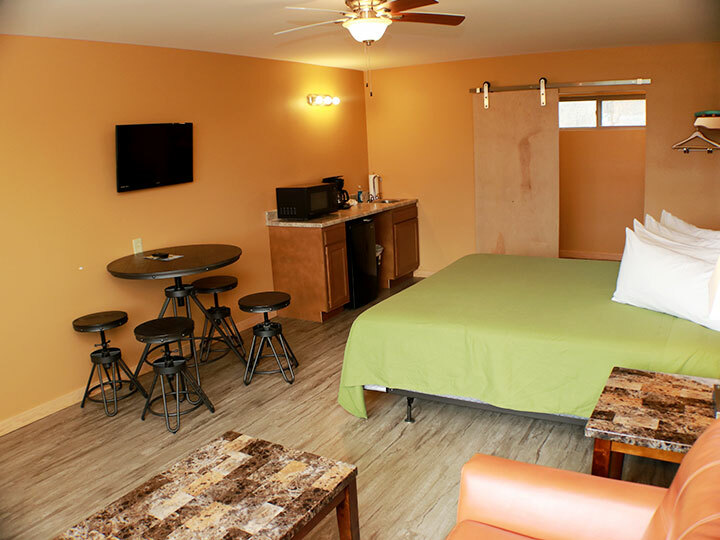 Amenities include a king-sized bed, microwave, toaster, mini-fridge, tub with shower, TV, and a 10-cup coffee maker. Free WiFi access may be available in the landing rooms. Connectivity is limited and is not guaranteed. Please request login info at the registration desk.